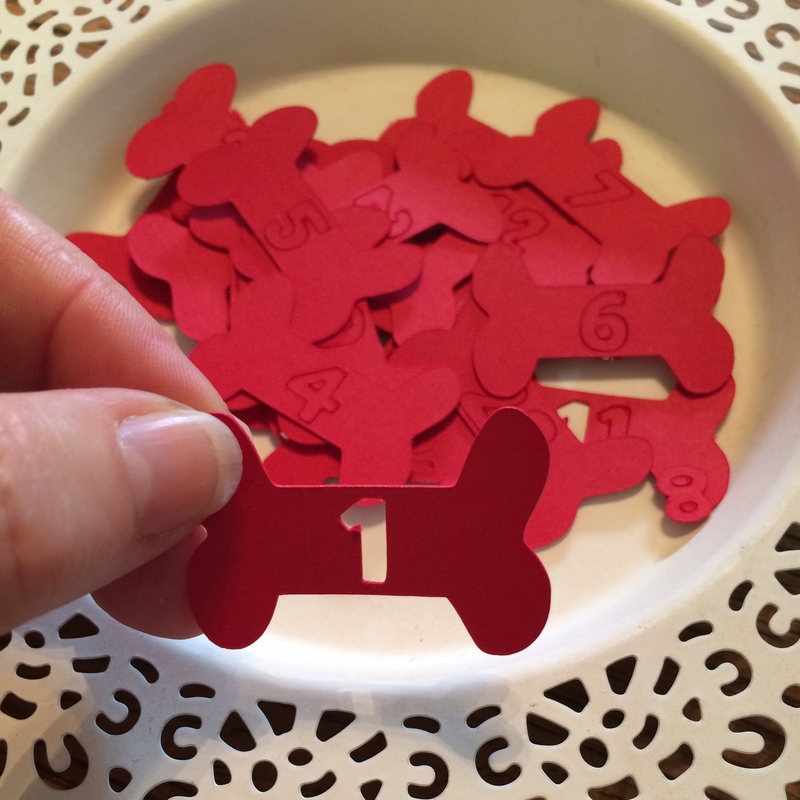 I knew I wanted to make them an Advent Calendar and I knew it would involve dog biscuits, but wasn’t quite sure what form it would take. 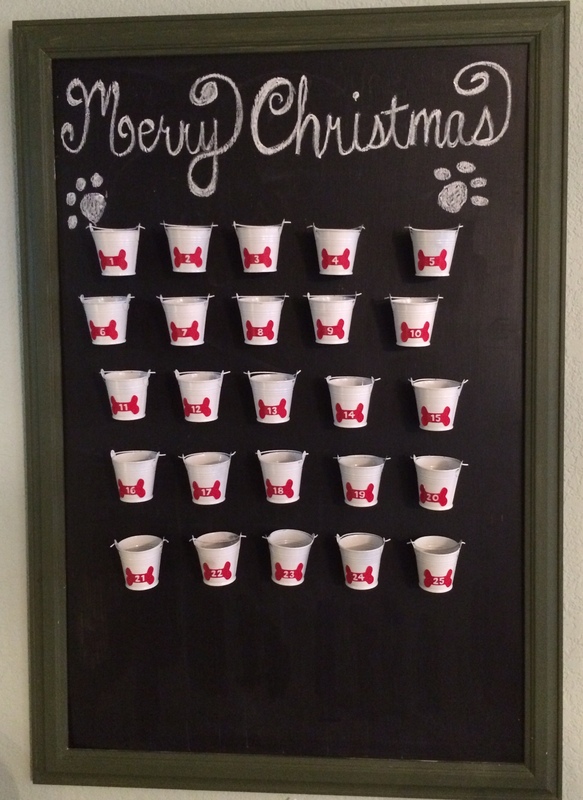 I was inspired by many different approaches to the Advent Calendar on Pinterest and decided to co-opt my metal chalkboard in the entry for the holidays. I found these galvanized metal buckets, painted white, at the dollar store. 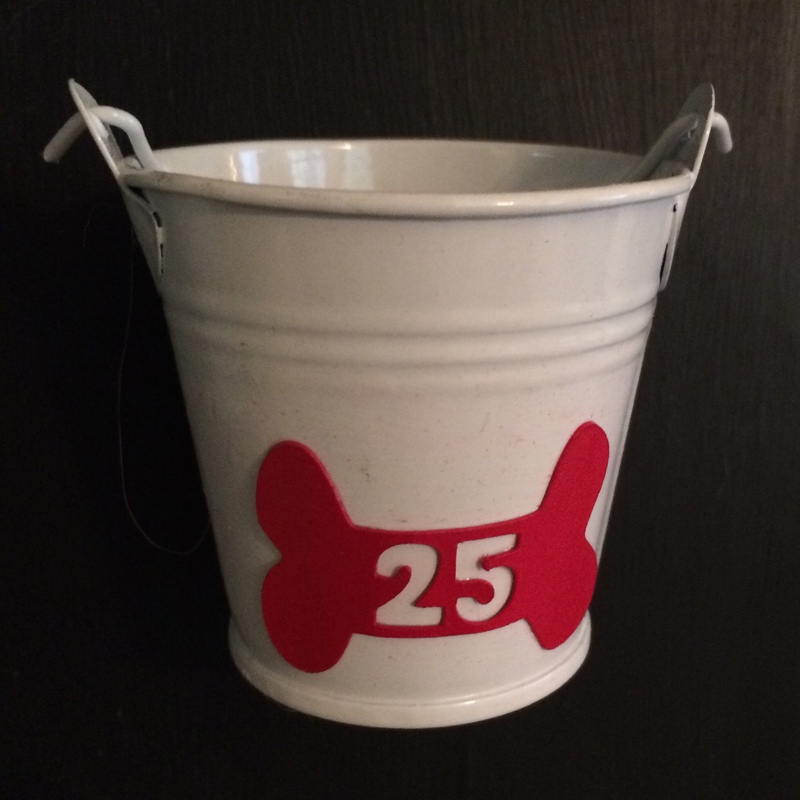 I then cut out numbers using my Silhouette Cameo and mod podged them to the buckets. 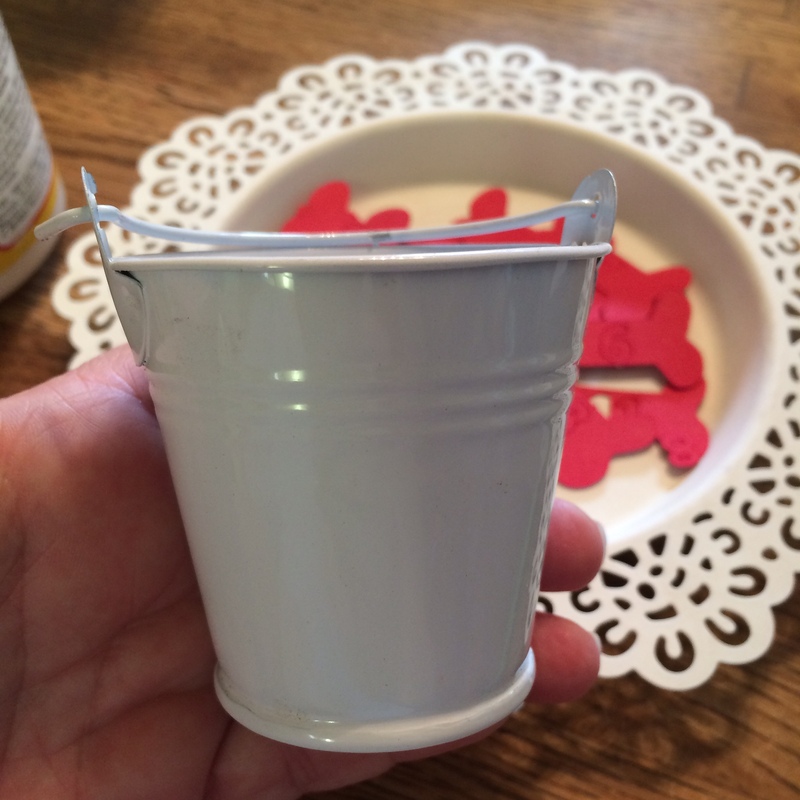 The nice part about the metal buckets is that the magnet sticks to the bucket and the chalkboard (no glue needed). I thought about cutting out a “Merry Christmas” sign for the top of the board, then just decided to write the words using my chalk. I intentionally placed the buckets up high because once the biscuits are in all bets are off. In fact, I’ll have to put the biscuits in while the dogs are outside because if they see me do it, they’ll never leave me alone or a couple of them (and I’m not saying which two) will devise a plan to speed up Advent. So you mean to tell us that everyday we get treats out of these buckets??? Has Santa come early??? 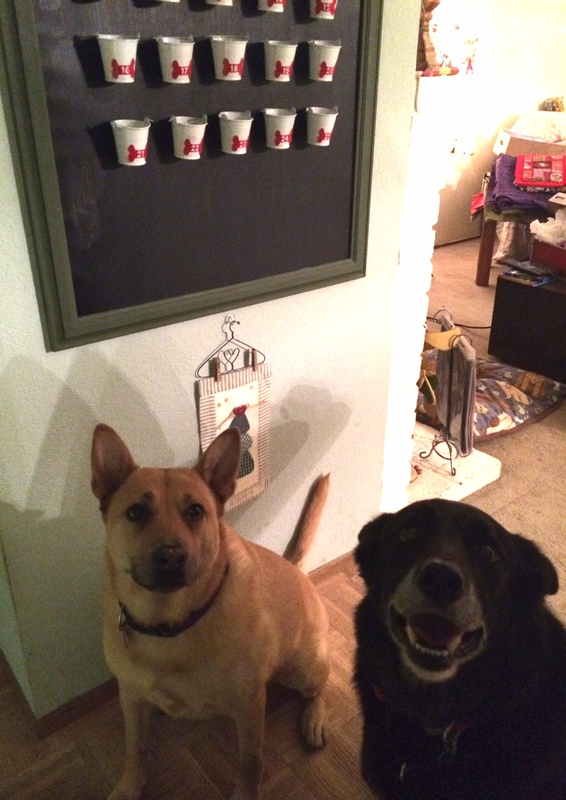 This entry was posted in Christmas, Decorating, Dogs, Homemade, Paper Crafting and tagged Christmas, Decorating, Dogs, homemade, paper crafting. Bookmark the permalink.